You must make reservations at least 5 minutes in advance of the time at Cafe L'Europe - St Armand's. Happy Hour: 5:00 pm - 7:00 p.m.
Sunday - Wednesday: 4:00 p.m. - 9:00 p.m.
Thursday - Saturday: 4:00 p.m. - 9:30 p.m.
We will be closed on October 4, 2018 for a private event. The area has public street parking around the shops, a public lot out back, and valet parking at the rear of restaurant on Friday and Saturday evenings. Three courses including starter, entree and dessert for $29.95 per person plus tax and gratuity. Daily summer specials - see website for details. Summertime special lunch plates - see website for details. Ladies Night: Third Thursday of each month, 5 - 9 p.m. Ladies get 15% off their check when they mention Ladies Night. Specials are not available on holidays, St. Armand Circle Events and with any other offer or promotion. Full service off-site boutique catering and event planning company serving the Sarasota, Manatee and Tampa Bay area. 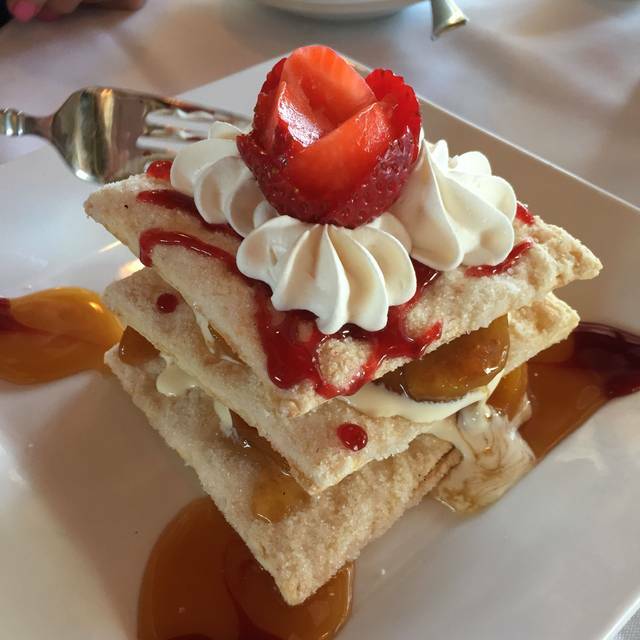 From weddings and rehearsals dinners to disaster relief, Café L'Europe is your local catering expert. 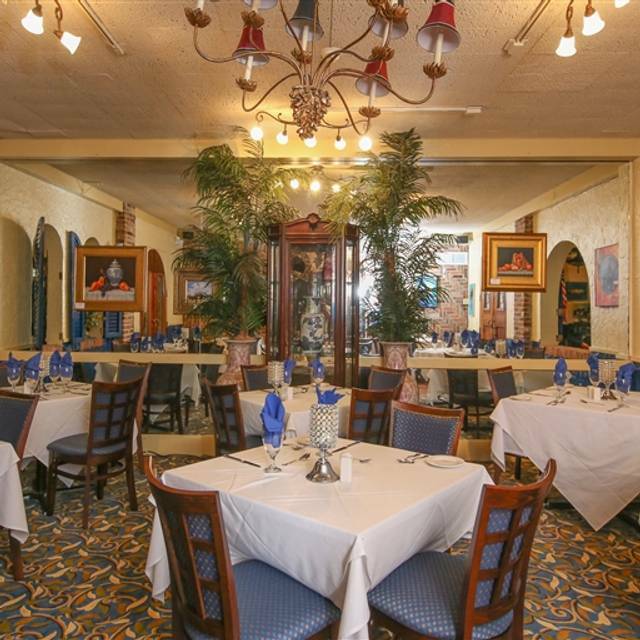 Founded in 1973 by restaurateurs of Dutch and German influence, Sarasota’s iconic Café L’Europe has built an unparalleled reputation for its elegant and delicious European cuisine, award-winning wines, tableside specialities, and professional service. 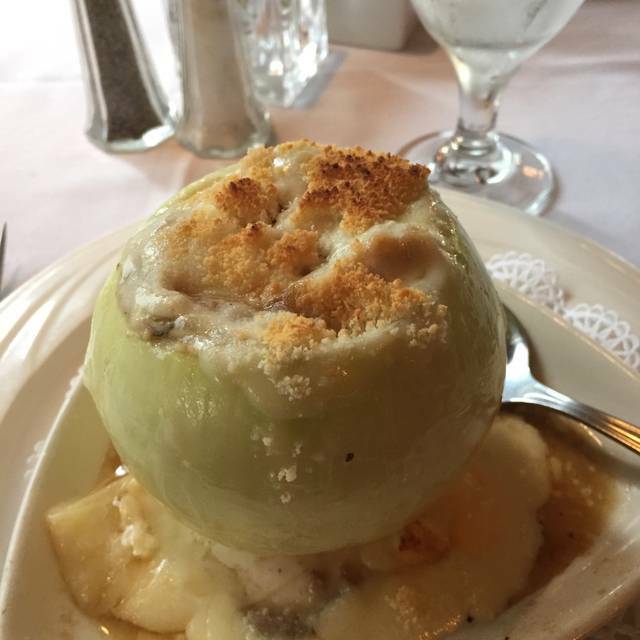 Today, Cafe L’Europe continues to honor the its reputation for old-world tradition and memorable dining experiences. While a lovely experience, the entrees are overpriced. The duck was dry, and priced at $38...yikes! The ambiance is beautiful, with a great wine selection. 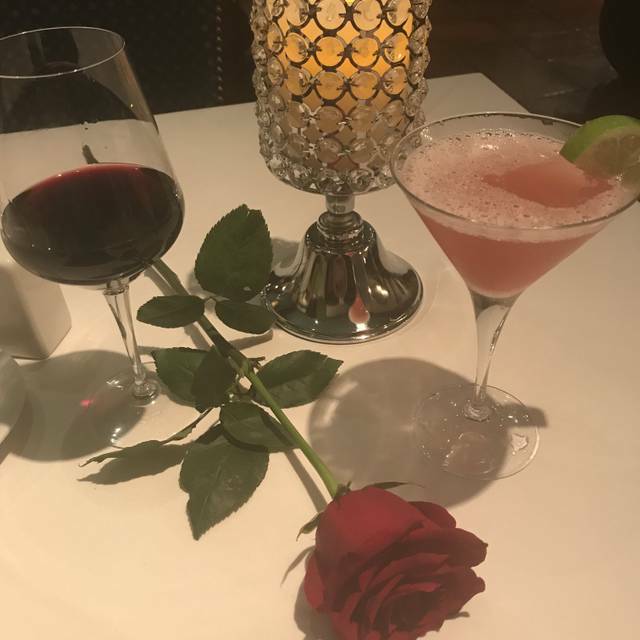 As has been our experience in the past, the cocktails, food and service was excellent. Great spot for special occasions (in this case, a birthday for two of us). I would definitely recommend L'Europe to friends, but warn them reservations mean nothing there. The food was very good, the server was excellent, but we finally got seated in the area we requested 45 minutes after our reservation time. We were given complimentary memosas, but kept watching other people being seated where we requested. When one of us asked what was going on, the hostess got very snippy! Not cool!! Still one of my favorite restaurants, they're just not consistently efficient!!! To say the least!! Great location but food was overpriced and had zero flavor. We enjoyed a lovely lunch with delicious food and gracious service. Sat on the railing so we could watch the people go by. Katrina was a wonderful server, attentive and knowledgeable. We had very enjoyable evening in the beautiful SW FL weather. Started with the Tuna Tartare and then Crispy Duck for my husband and the Seafood pasta with the cream pesto sauce (recommended by Katrina) for me. All were beautifully prepared and tasted wonderful. Enough to take some home and enjoy again. Will definitely go back, great choices on the menu we have yet to try. Supposed to be exceptional. It was. Going there 23 years for special occasions. Sorry, but this time it was like all other places. Have eaten here a few times in the past. As before, we had an exceptional experience and the food was wonderful. A longtime Longboat Key favorite, but nowadays it is pretty mediocre food served in a very perfunctory way. And NYC expensive with entrees between $35-$50. It seemed like the meals were pre-made and reheated. 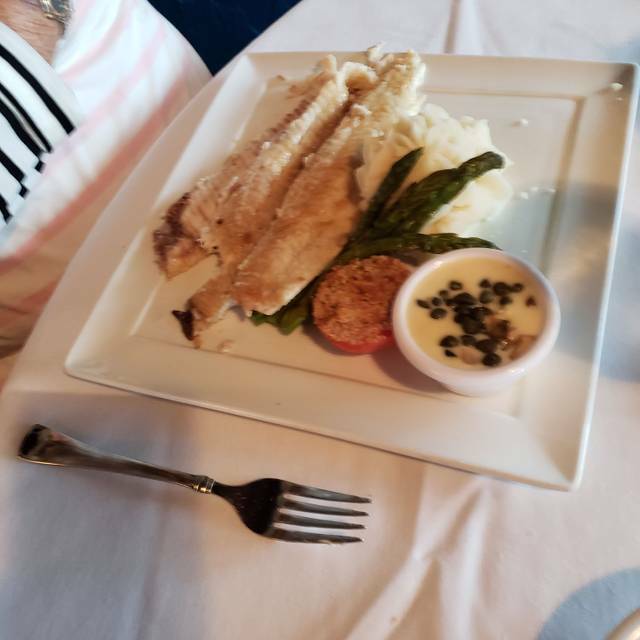 And the fish we ate- halibut w/ shredded potato on top w/ vegetables and fish special Mahi -Mahi w/ caper sauce — we’re favorites of the waiter. Would not recommend. Everything was great about the restaurant except for the fact that prices were much higher than I had expected. Always a great meal here! Their French Onion soup is delicious and unique. One of us enjoyed their corned beef on potato pancakes sandwich and two of us enjoyed the crab Louie. Looking forward to our next visit there! By the way, easy reservations on Open Table. Consistently great food and service!! A Sarasota favorite!! Fabulous server-very knowledgeable. Made us feel very welcome. In fact we felt that way starting w hostess. Asked to change to a round table since we are old and half deaf. No problem. Food was excellent and hot. Expensive but that’s what we expected. Great value. Service was excellent but my potato grouper dish had too much of the potato mix on top which took away from the fish. Fabulous food and good service.t they did well in accommodating us with a baby. The Open Table app needs work for them. It allows for inside or outside seating, but not an option for inside front porch. The outside curb tables under umbrellas are nice and inside back room also nice, very European feel with music some nights. We wanted front front which faces the curb and checked the OUTSIDE on the app. We were very disappointed at first when our reservation for six people to sit in the front was not honored. The hostess was very rude about it, but the manager sat us at a table that was near where we wanted to be. Otherwise, it was great. Our waitress felt so badly for us, she tried to make up for it and was so sweet and accommodating. The food was outstanding. They just need to send the hostess for more customer service training. Absolutely wonderful dining experience. Will definitely go back. Very good food and service. A great place to sit, enjoy a fine meal, and watch the people walk by. This is a really cool place if you are in St. Armands circle to visit. 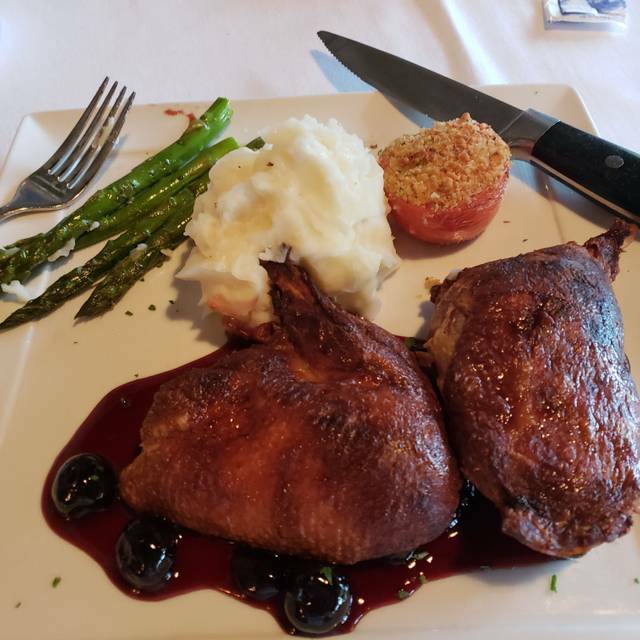 The service was excellent and the food delicious. The Cesar salad was out of this world tasty, just like I like it with lots of garlic and my husband loved is Pasta Bolognese. Out door seating available, we sat inside where it is quite charming, in an older historic building. Highly recommend a visit here. We had such a terrible experience upon being “greeted” that we never ate our meal. Having had a long-standing reservation and also having called to discuss the outdoor seating, we were greeted by a man initially who confirmed our name. He then walked away without saying anything else and returned with another hostess whom he turned us over to without any explanation. No real problem so far except it was weird. Then she asked our name as if no one had seen our reservation and the man walked away. She then offered us a table in the exact section outdoors that we did not want (and had established during the reservation process). She said it was our only option for the evening which seemed odd because it was fairly early and as I mentioned we had a reservation that said we would sit outside not in the section by the street or indoors. My husband and I are an interracial couple which may or may not have been a factor. I have never been treated so rudely and unprofessionally. This is the first problem I have ever had at an open table restaurant after many years of using this service. We attended Cafe L’Europe for the first time on March 26 prior to a show nearby. The service was good — especially the hostess who was very friendly and accommodating. We had an early reservation because we had another engagement early in the evening. We ordered off the early bird dinner for two menu which offered 7 starters and 7 entrees of good selections for a limited menu. The early bird menu was not initially presented to us but we spotted it online and had to request it from our server. She seemed a little put off by our request but we knew that menu was offered until 6pm and we still had 20 minutes. Two starters plus two entrees plus a bottle of house wine for $70 seemed like pretty good value. Food was very good. 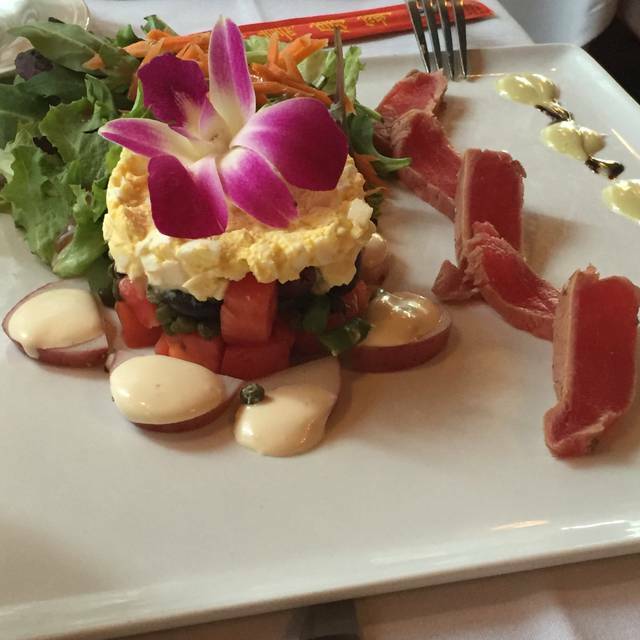 I would recommend Cafe L’Europe to anyone for good food, service and ambiance. Visit every year and always delighted with the food and service. Thanks. Service was outstanding. Food continues a fine level and also continues to improve. 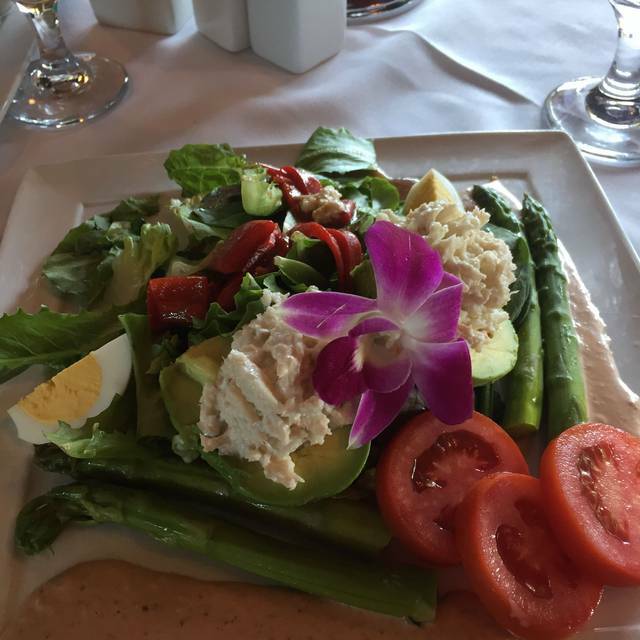 We always enjoy an evening at Café L’Europe! Great atmosphere and great food and great service! Cassie our server was very personable and gave us a complimentary lobster bisque because the kitchen was backed up. Atmosphere was old fashioned charming...would have preferred a bit lower lighting. I've enjoyed this restaurant on numerous occasions for the past 6 years including special wine dinners. I chose this venue for a special reunion of friends of over 60 years. I know I can count on them to deliver the best service, ambience, menu options, fantastic food , wine and drinks. We were treated as VIP's upon arrival by Marianna , so nice to be acknowledged as a previous customer. Our server Carlos did an outstanding job of service and allowing us to linger over cocktails. PSteaphanie, the Manager came by to say hello and check on our evening. Our dinners arrived timely and the presentation was beautiful. We ending the evening with table side Bananas Foster skillfully prepared by Carlos. A special thanks to our Bartender for having Double Cross vodka in stock. Outstanding, as always. Chef's special was scallops piquant and it was perfect. Music is always appropriate and understated. Our server was Cassie, she was pleasant, attentive and efficient. Great evening. Every table filled in the same 10 min so entrees we’re taking longer than their usual. The waitress offered us a complimentary appetizer but we felt we received our entree with perfect timing. 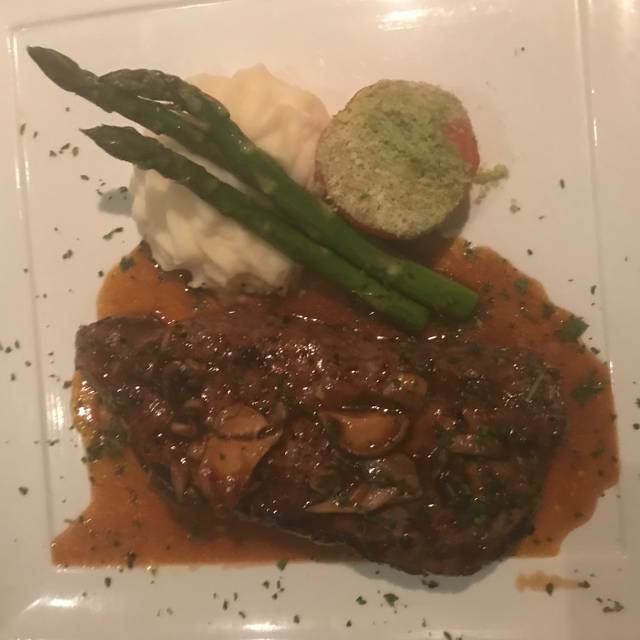 Our food was nicely presented, fabulous tasting but my daughter’s steak was cool so they offered us a complimentary dessert. They went above and beyond and all was delicious. Will definitely return. The ambiance is worth the visit. The service was excellent. I liked my food but didn't love it. Not modern cuisine. My husband and his friend ordered the bolanaise sauce and it was way too peppery. He asked the waiter about the sauce who retuned and said they used a different recipe. They did not take it away. I tried the sauce and my tongue was burning. I thought they could have done a better job. Usually everything is excellent. Lovely atmosphere, attentive service. Food did not disappoint. Will definitely return. Great meal. Fine service. We never have had a bad meal here. Will go back soon.